We all want to drink great wine. And marking wine out of 100 (or 20, or whatever) certainly makes it easy for consumers to find the “best”. But should we be judging wine in that way and does the pursuit of high-scoring wines mean that we’re missing out on wines that are enjoyable, fun, delicious even? 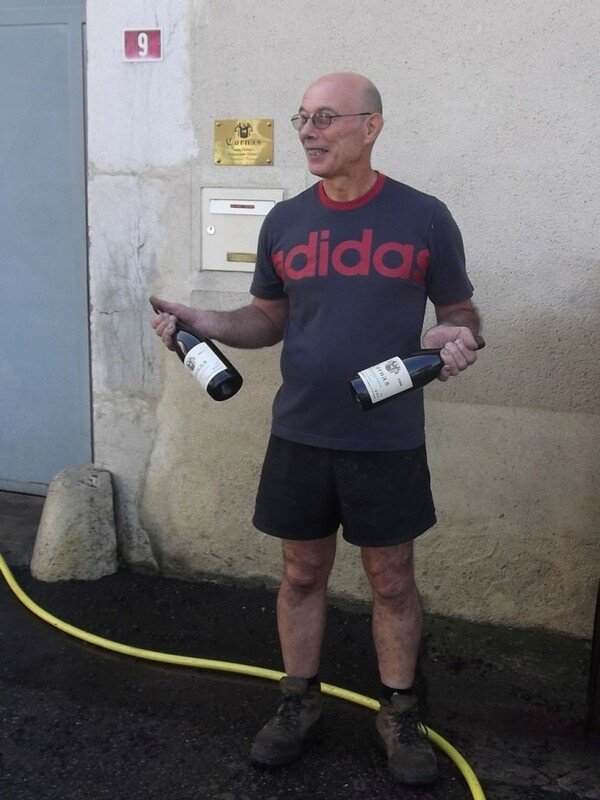 Alain Verset with his Cornas in hand. And “best”? Best for what? Señor X’s Mendoza malbec may be worthy of 95/100 if you believe the critics, but it’s going to swamp a selection of charcuterie chosen for a summer lunch. On the other hand, a leafy cabernet franc from the Loire valley or even Señor X’s bonarda might just be perfect. But the malbec has the higher score, it must be better! So everyone sips the impressive, full-bodied (15%!) malbec vaguely aware that solid food is passing their lips but not really able to taste it. Except to notice that it really doesn’t go with that lemony young goats cheese from the farmers’ market. Secondly, even if we do all agree what makes a great wine, I simply don’t believe that it’s possible to give a wine a definitive score. Wines change, or at least our reaction to them changes, sometimes from one week to the next. One time a wine can seem headily aromatic, full of fruit, the next, more reserved, less expressive. It may be the surroundings, it may be the weather, it may just be our mood. Whatever the reason, the wine tastes different, yet the score – the result of a single tasting – is set in stone. Thirdly – sadly, the list goes on – are critics’ tastebuds so highly attuned that they can say that wine X is clearly worthy of 93/100 rather than 94 or 92? (And it takes just a moment on google to see that not all reviewers give the same score to the same wine.) More importantly, as drinkers can we tell the difference? I think the short answer is no. Of course the critics, and most wine lovers, can tell the difference between dud and delicious, and hopefully many stages inbetween. But a 1% difference? We’re not marking a maths paper here where there’s a right and a wrong answer, we’re talking about a subjective opinion on somebody’s hard work. 5. Distorting the market is one thing, but wines themselves have changed to cater to certain influential critics’ tastes. (Remember winemakers, a higher score makes a wine easier to sell. And at a higher price!) Not all wines are effected, by any means, but there has been a trend, perhaps most noticeable in Bordeaux and Napa, to make red wines “bigger”, as if size was commensurate with quality. Rich, plump fruit, BIG tannins, deep, dark colours and lashings of new oak have rarely resulted in lower scores. And where does that leave Burgundy, which majors on elegance and finesse (or at least it should do), or Beaujolais, which should be a riot of juicy, thirst-quenching fruit? By all means buy high-scoring wines if your pocket can stretch to it. They’ll almost certainly be good, and hopefully to your taste (not always a given). But be adventurous with your wine buying, discover for yourself what you like, and remember that there are great wines with personality that don’t cost the earth. Here’s a selection of some of my favourite everyday Rhône reds that all cost around 7€ at the cellar door. Even the winemakers themselves wouldn’t describe them as their best wines – they’re certainly not their most complex, age-worthy or serious – but they are all (in my opinion) delicious. These wines have all the personality you could wish for, but I suspect none would hit 90. And just in case, importer details are listed below. 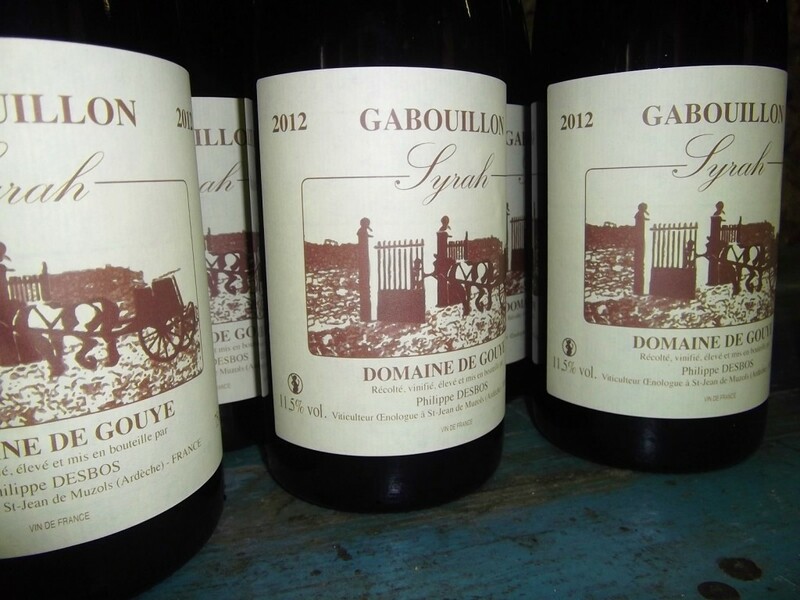 Domaine de Gouye, “Gabouillon” 2012 – 100% unoaked syrah from a producer based in St. Joseph. The Gabouillon vineyard is up above the appellation, on the cooler plateau. Cooler means less alcohol – just 11.5%. But if you think that means weedy you’ve got another think coming. This is the essence of northern Rhône syrah – like blackcurrant leaf mixed with crushed black pepper. La Côte. In this case the 2011. 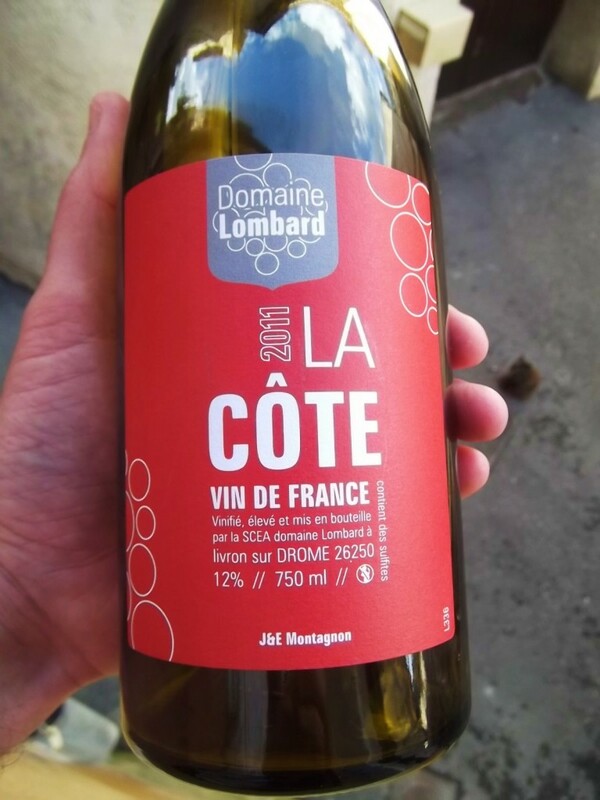 Domaine Lombard, “La Côte” 2012 – another northern wine. The syrah plus a splash of viognier recipe is well-known in Côte-Rôtie, but those wines are 4-5 (and more) times the price. Pure pleasure in a glass. It doesn’t just slip down, it glides. Blackcurrant meets farmyard in the most agreeable fashion. 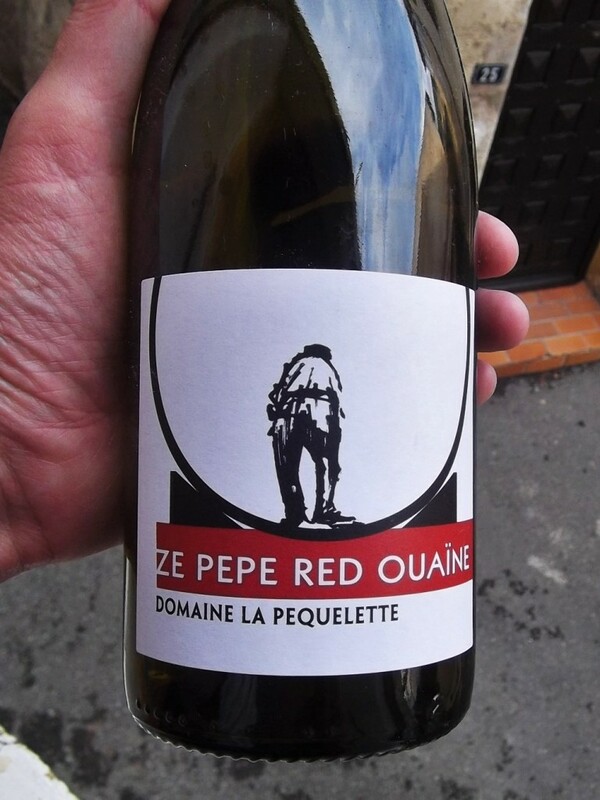 Domaine la Péquélette, “Ze Pépé Red Ouaïne” 2013 – Cédric Guillaume-Corbin makes serious, classic reds in the appellation of Vinsobres. This isn’t one of them. 100% caladoc (a grenache/malbec crossing) that bursts with juicy loganberry fruit. Served cool, it is the nearest thing the estate makes to a rosé. Except it’s red. 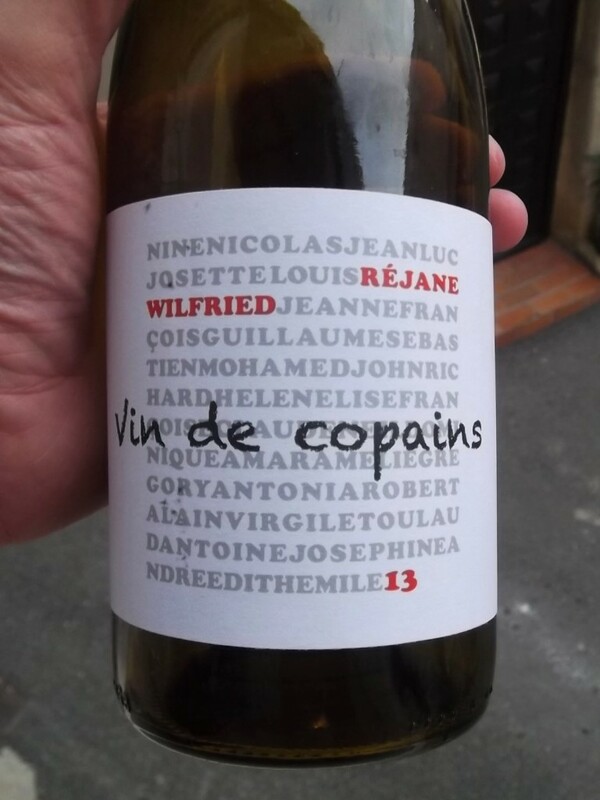 Domaine de Wilfried, ” Vin de Copains” 2013 – each year, Rasteau-based Wilfried and Réjane Pouzoulas select their fruitiest, most gluggable vat of wine and bottle it separately. In 2012, this “Mates Wine” was 100% carignan, the 2013 vintage is pure grenache. A lovely translucent ruby colour and the taste of fresh red summer berries. Aurélien Chatagnier, “Le Guilleret” 2013 – back up north. 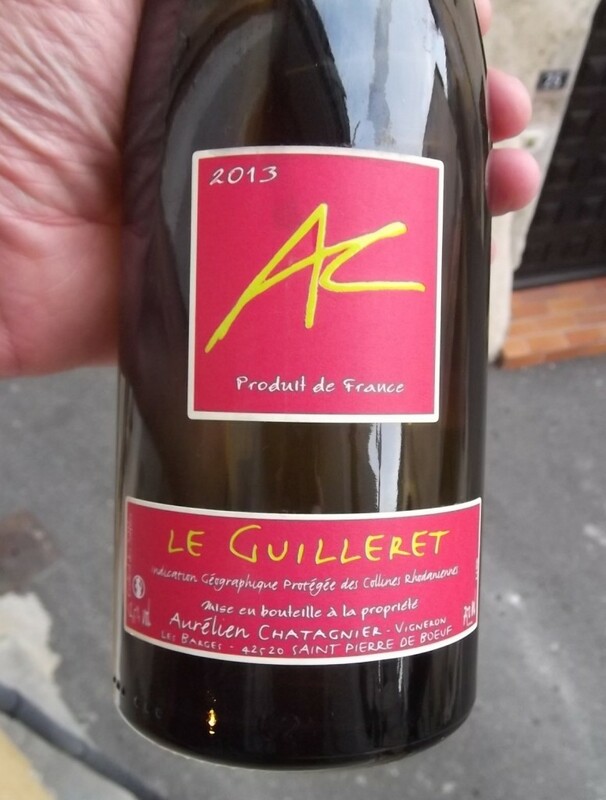 Aurélien can do grand – he makes Côte-Rôtie and Condrieu, after all – but this lovely little number is from a tiny plot of gamay outside any appellation. Red cherry fruit offset by a touch of thirst-quenching acidity makes it a wine you keep coming back to for just one more glass. You can drink any of these wines as they are, with no need for food, but they’ll all sit happily alongside a plate of sausages, a roast chicken, pasta with puttanesca – and that plate of summer charcuterie. Domaine de Gouye – Sadly, you won’t. You’ll have to come to the Rhône. Domaine Lombard – In the UK, Yapp Bros., who certainly deliver, and who have in fact just announced that they are selling La Côte 2012 for £10. In the USA, Lombard’s importers are Paul M Young Fine Wines in LA and Cellar to Table in NY. They should be able to point you in the direction of a local(ish) retailer. Domaine La Péquélette – UK-wise, Vine Trail, based in Bristol but they deliver. As far as I’m aware, they only have Cédric’s “posher” wines. In the USA, the same may be true of Vin de Garde in Portland, Oregon. Domaine de Wilfried – Nothing doing I’m afraid (but you can get the estate’s wine in Paris, Belgium and Denmark if that’s any help). Note: This is the blog of Rhône Wine Tours. We love high-scoring wines – some of our best friends make them – but delicious comes first. If you’d like to know more about the region’s wine, feel free to browse the blog and take a look at our website – www.rhonewinetours.com. There’s also a Facebook page with lots of short pieces and photos. This entry was posted on Saturday, November 29th, 2014 at 7:57 am and is filed under Tasting Notes, Wine in general. You can follow any responses to this entry through the RSS 2.0 feed. Both comments and pings are currently closed. Very interesting post, and I have a feeling I’d love these wines. And I had to go to my Jancis Robinson’s Wine Grapes to read about Caladoc, as I’d never heard of it before.